Today in Masonic History Süleyman Gündoğdu Demirel is born in 1924. Süleyman Gündoğdu Demirel was a Turkish politician. Demirel was born on November 1st, 1924 in Isparta, Turkey. He attended middle school in Isparta and high school in Afyon, Turkey. He attended the Istanbul Technology University and graduated from it's school of Engineering in 1949. After graduation Demirel took a job with the state department of electric power planning. They immediately sent him to the United States to study dam construction. He studied dam construction twice in the United States, the first time was 1949 to 1950, the second was 1954 to 1955. Also in 1954, he was appointed the head of the Department of Dams. The following year he was appointed as Director General of the State of Hydraulic Works, which put in charge of projects to dams, power plants and irrigation projects. In 1960, a coup d'état forced Demirel into the military for a mandatory service. After leaving the service he worked for an American company in Turkey as well as freelance engineer. Demirel's political career began when he joined the Justice Party, which replaced the Democrat party that folded after the coup of 1960. Shortly after he was elected the head of the party. In 1963, resigned when protests happened outside the Justice Party headquarters when the President who was ousted in the 1960 coup was released on parole from prison. Demirel stated that he was resigning because Democracy would not come to Turkey for another 50 years. Just one year later Demirel returned to the party and ran for the head of the party again. He faced strong opposition for the position. One of his rivals accused him of being a Freemason, which at the time he was. He countered the accusations by contacting a lodge other than his own and asking them to verify that he was not a member of their lodge. Which of course he was not a member of that particular lodge. The ploy worked and he was elected again as the head of the Justice Party in 1964. After being elected as the head of the party, Demirel became the Deputy Prime Minister. The following year, in 1965, the Justice Party won an unprecedented number of seats in Parliament and was able to create a majority government. This made Demirel the youngest Prime Minister in Turkish history at the age of 40. 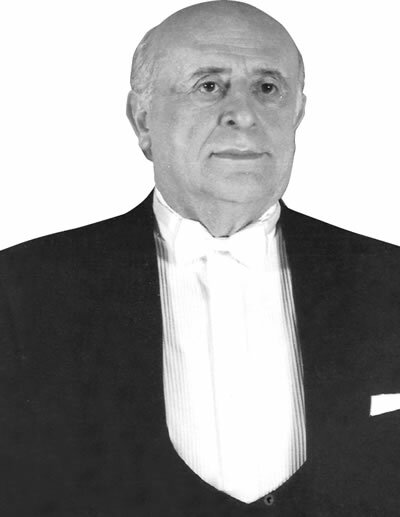 In the 1970's Demirel was the head of the opposition. In 1980 another coup d'état had Demirel banned from politics for 10 years. In 1986, he started campaigning to have that ban lifted and in 1987 he was successful. He became he head of the True Path Party, which had replaced the Justice Party. After the 1991 General Election, Demirel found himself again Prime Minister. After the sudden passing of the President of Turkey in 1993, Demirel was elected as the 9th President of Turkey. He served for the constitutional 7 year term. After politics Demirel spoke at various universities around Turkey. On June 17th, 2015 he passed away while he was being treated for respiratory tract infection. Demirel was a Bilgi Lodge No.015 in Ankara, Turkey.